Tim Pee was born in 1976 in Cape Dorset. 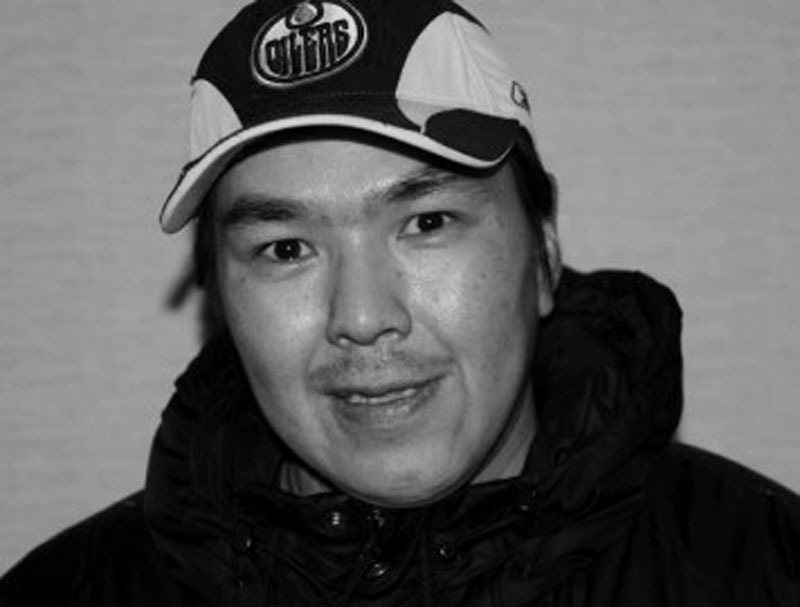 From a traditional Inuit family, Tim was raised with an enhanced awareness of Inuit culture, and traditional ways. Understanding the changing environment, and the importance of preserving the Inuit culture, Tim depicts traditional Inuit subject matter in his works. Mostly self-taught, he has become one of the best-known carvers living on Baffin Island. Tim is a full-time carver, specializing in the subject of bears, on the prowl or standing still. Mastering the formal elements of the bear, Tim’s bears are recognizable as his own, each having a unique character and expressive face. Stylistically, his bears are long and elegant, yet still convey power and majesty, commanding the attention of the room. Using mostly local Serpentine stone, Tim chooses his piece of stone carefully, with much thought given to the position he would like the bear to be in when it emerges from the rock. He is able to capture the strength of the bear, while still showcasing the beauty of the stone. Tim Pee lives and works in Cape Dorset, and continues to carve, and to develop more freedom in his style. His bears are prized in private and public collections alike.